Maxie is responsible for today's blog post. (Well, all except for the actual typing. I had to help with that.) When she saw an email about an upcoming book tour for Ralphie, Always Loved, Maxie insisted that we join the tour. I pointed out to her that a children's book is quite a departure from our usual genre of cozy mysteries, and she pointed out that our tagline is Mostly Mysteries. 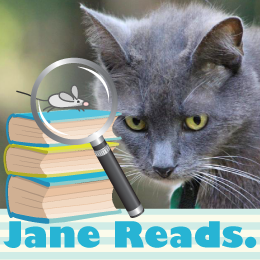 Maxie is familiar with another children's book, The Tenth Good Thing about Barney by Judith Viorst, which can help console children whose cats have crossed the rainbow bridge. She recommends this new picture book, because it will be equally comforting to a family dealing with the loss of their cherished dog, or any pet, in fact. Rambunctious and hyperactive, Ralphie had already been returned to the animal shelter three times, but when Andrea and her husband adopted him and gave him a loving home where he was understood, accepted, and taught, he learned fast. 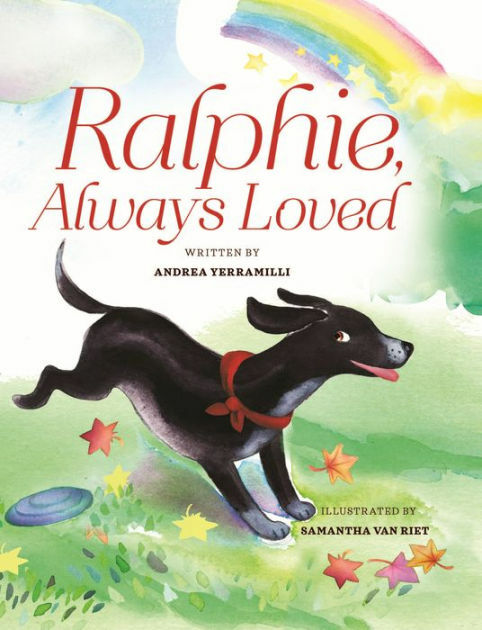 As Ralphie's human family grew, so did his capacity for love and the ways he could express it. He remained a loving and beloved family member who touched the hearts of the whole neighborhood until he was ready to say goodbye at the grand old age of sixteen. Ralphie, Always Loved will remind you of all that is good, and reaffirm your belief in love's power to uplift and transform. It’s been six months since Lane Sanders was appointed Mayor Fiorello “Fio” La Guardia’s new personal aide, and the twenty-three-year-old is sprinting in her Mary Janes to match her boss’s pace. Despite dealing with vitriol from the Tammany Hall political machine and managing endless revitalization efforts, Fio hasn’t slowed down a bit during his years in office. And luckily for Lane, his unpredictable antics are a welcome distraction from the childhood memories that haunt her dreams — and the silver gun she’ll never forget. 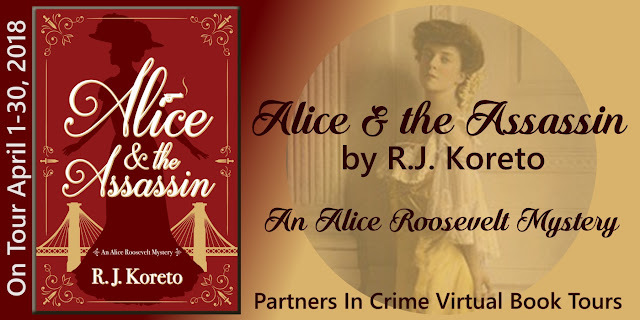 I'm excited to tell you about a new series, the Alice Roosevelt Mysteries. I just finished the first book, Alice & the Assassin, and it's great — Five Kitties! I really enjoy historical mysteries, especially when some of the characters are real people. I'm looking forward to reading Book #2, The Body in the Ballroom, which will be published in June. In 1902 New York, Alice Roosevelt, the bright, passionate, and wildly unconventional daughter of newly sworn-in President Theodore Roosevelt, is placed under the supervision of Secret Service Agent Joseph St. Clair, ex-cowboy and veteran of the Rough Riders. St. Clair quickly learns that half his job is helping Alice roll cigarettes and escorting her to bookies, but matters grow even more difficult when Alice takes it upon herself to investigate a recent political killing — the assassination of former president William McKinley. 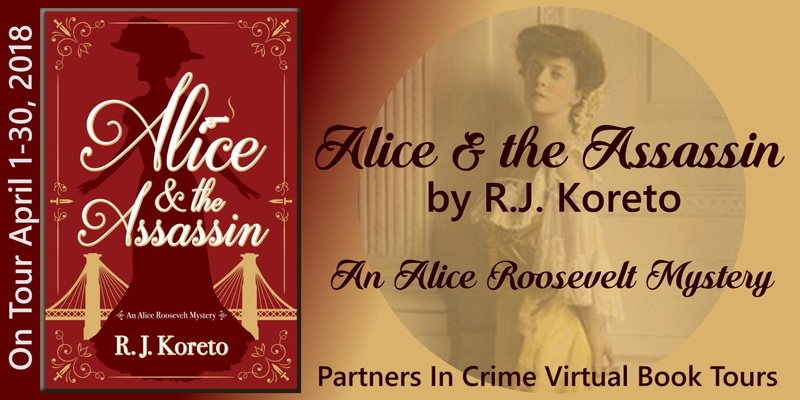 And while Alice, forced to challenge those who would stop at nothing in their greed for money and power, considers her uncertain future, St. Clair must come to terms with his own past in Alice & the Assassin, the first in R. J. Koreto's riveting new historical mystery series.